You can finally start saving for your family’s future by downloading the free Family Expenses Sheet. This free template provides you with the necessary tools to create a monthly budget and keep to a set plan. If you’re tired of your paycheck always disappearing and not knowing how, this template plays the ultimate detective to find your money so you can adjust your monthly habits to pay off debt and start saving. It’s simple once you know what you’re spending your money on most, just download the free Expenses Sheet today to get started. 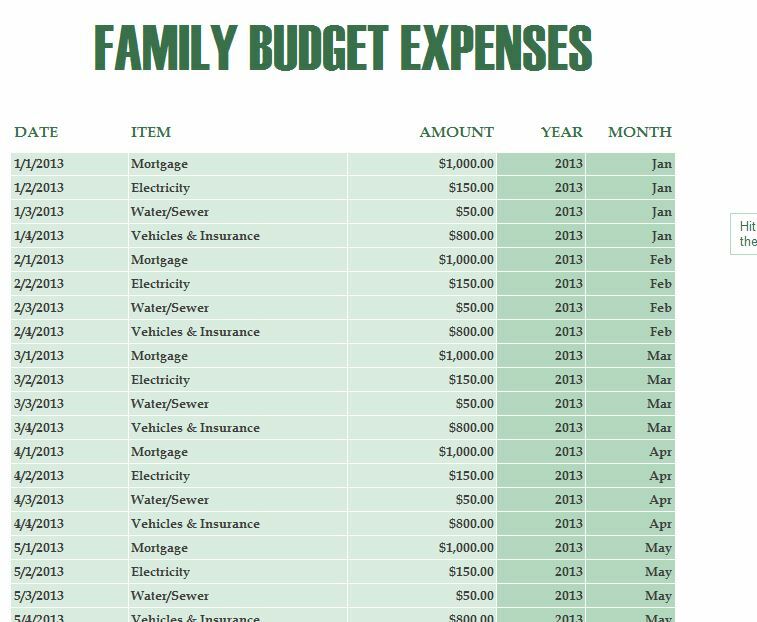 Begin in the “Household Expenses” tab. There are 5 columns total in on this page. Whenever you buy something, you’ll simply save the receipt and add it to this document at the end of the day. The first thing you will enter for each item is the date, then the item description, the cost, the year, and finally the month. The most efficient way to use this template is by starting with your recurring bills first, then moving to the everyday expenses that you pay for on a daily basis. When you want to see an overview of all your expenses, you will move on to the “Expenses Summary” tab. This section gives you a nice breakdown of all these items from month-to-month and calculates the totals for you off to the side. This simple template is the best way to keep track of your entire family’s monthly expense and start to analyze the information so you can get out of debt and save for tomorrow. Convenient Drop-down menus to make finding certain items easier.